Religious men sing hymns and recite prayers from the Guru Granth Sahib in the praise of the Lord from the Gurudwara Bangla Sahib. 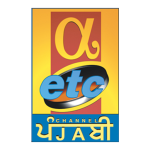 Alpha ETC Punjabi is a Punjabi language specialty channel that is owned by Asian Television Network. Alpha ETC Punjabi broadcasts programming from Alpha ETC Punjabi and Canadian content. Programming comes in the form of movies, news, dramas, comedies, and talk shows. Watch Alpha ETC Punjabi Live with High Quality On YuppTV.